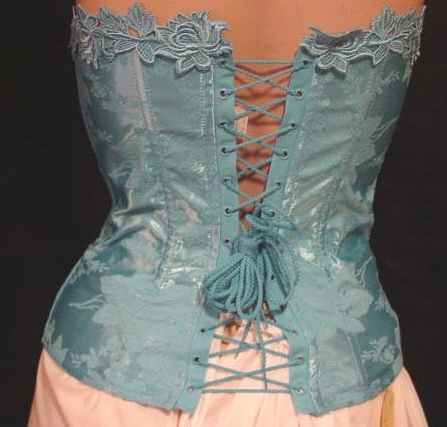 Victorian Style – Also works great for Civil War era. Rich Satin Brocade fabric with beautiful Venice lace across top. Perfect for your historical reenacting outfit. Also very fashionable with modern clothing. Can be worn as inner or outer wear. 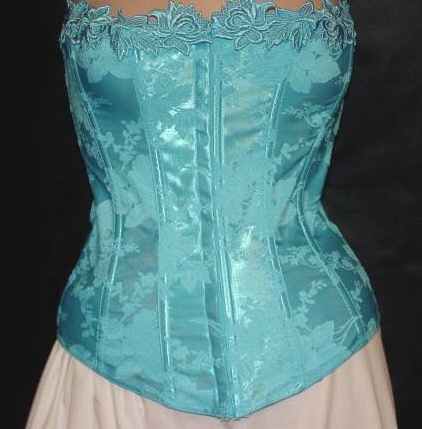 This gorgeous corset is designed to push up the bust and cinch in the waist giving a classic hourglass look. The boning is strong enough to cinch you in, but is still comfortable. The front has a hidden row of hooks and eyes and the back has bi-directional lacing.